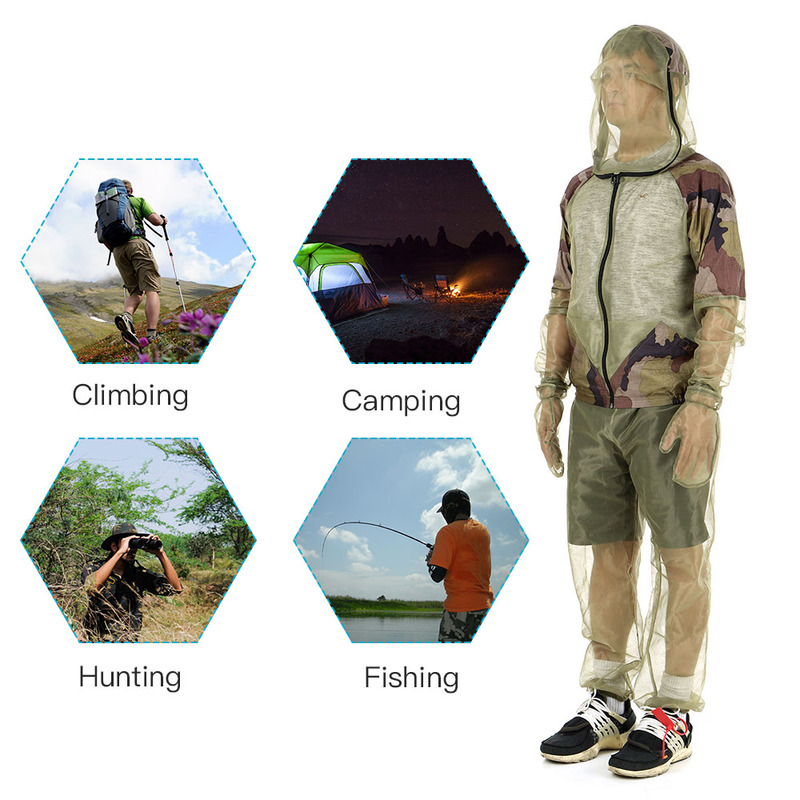 Anti-Mosquito Mesh Suit will provide all round protection from tiny bites during fishing, hunting and other outdoor activities. 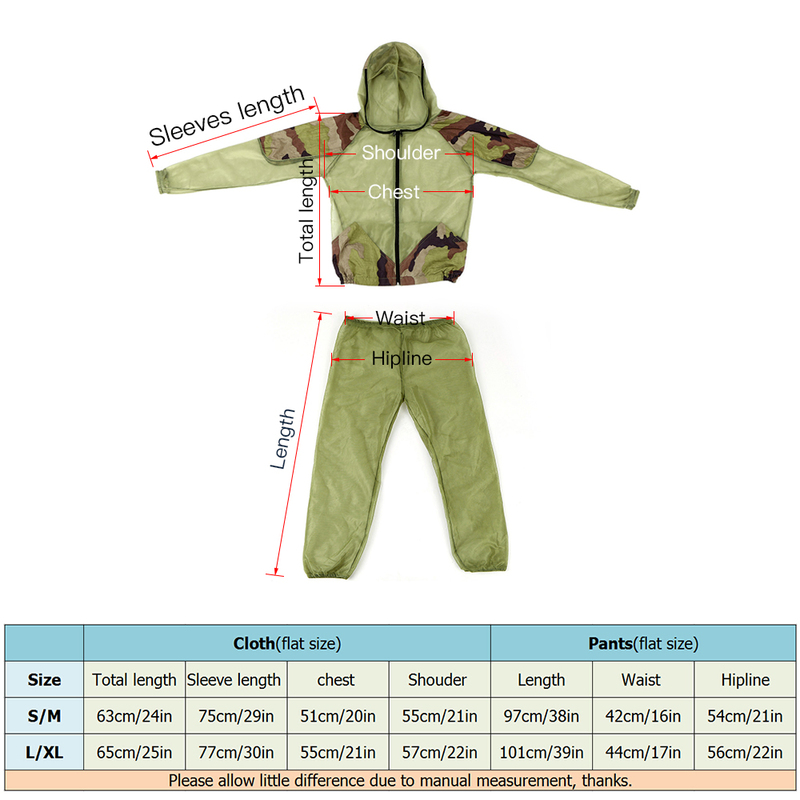 All round protection: One hooded jacket, one pants and a pair of gloves to protect you from insects and bugs during hunting, camping and fishing. Excellent ventilation: See-through thin yarn for excellent ventilation in all direction and avoid blocking eyesight. Great protector: High density net gauze prevent tiny bites. 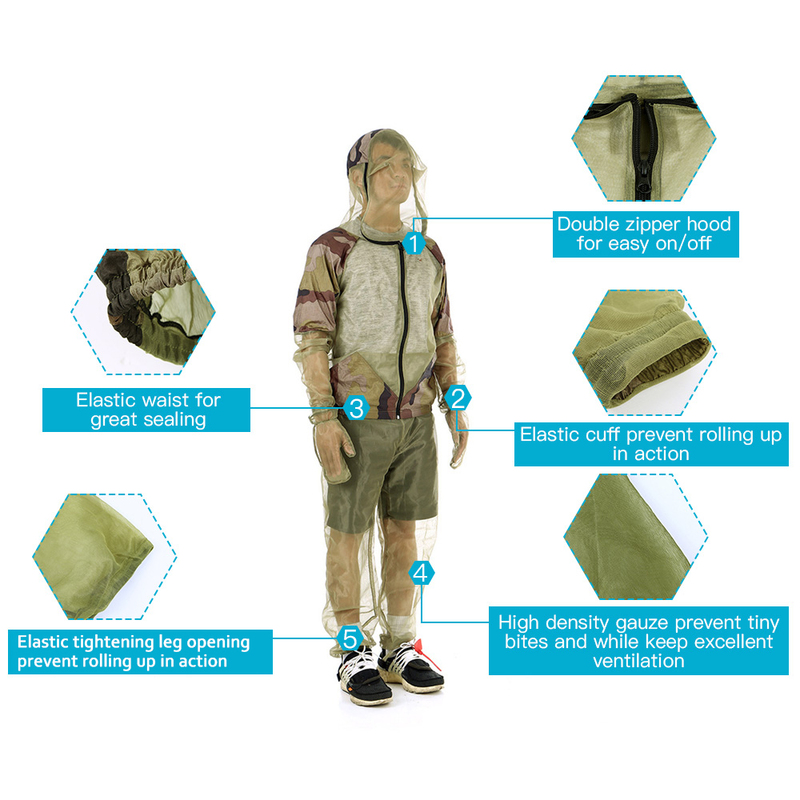 Comfortable design: Elastic scuff, waist and zippered hooded jacket. Lightweight & Portable: Mesh suits packed in a bag for convenient carry.